My (Not So) Perfect Life by Sophie Kinsella, narrated by Fiona Hardingham, purchased from Audible. Ok, so the real truth is that she rents a tiny room with no space for a wardrobe, has a hideous commute to a lowly admin job, and the life she shares on Instagram isn’t really hers. Then Demeter and her family book in for a holiday, and Katie sees her chance. But should she get revenge on the woman who ruined her dreams? Or try to get her job back? Does Demeter – the woman with everything – have such an idyllic life herself? Maybe they have more in common than it seems. Shopaholic to the Rescue by Sophie Kinsella, narrated by Clare Corbett, from Audible. Becky is on a major rescue mission through the American West to Las Vegas! Her father has vanished from Los Angeles on a mysterious quest with the husband of Becky’s best friend, Suze. Becky’s mum is hysterical; Suze is flat-out desperate. Worse, Becky must tolerate an enemy along for the ride, who she’s convinced is up to no good. Determined to get to the bottom of why her dad has disappeared, help Suze, contain the dreaded Alicia, and reunite her fractured family, Becky knows that she must marshal all her trademark ingenuity. The result: her most outrageous and daring plan yet! But just when her family needs her more than ever, can Becky pull it off? Wonder Woman Psychology: Lassoing the Truth by Trina Robbins, Travis Langley, and Mara Wood, an unexpected surprise. 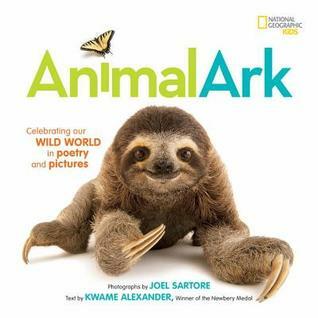 Animal Ark: Celebrating Our Wild World in Poetry and Pictures photographs by Joel Sartore, poems by Kwame Alexander for review. Featuring more than 40 unique animal portraits, the pages invite kids to explore each creature’s markings, textures, and attributes in stunning detail, while calling on all of us to help protect each and every one. Three picture-packed gatefolds inside showcase even more familiar and exotic species. These images are part of Sartore’s lifelong project to photograph every animal in the world, with special attention given to disappearing and endangered species.